Celebrating the sacrament of baptism and the joy we share in becoming God’s children through Christ, this elegant 2-part setting by arranger Jane Holstein utilizes the David Haas tune EVENING HYMN, along with a scripturally-charged text by Michael Saward, written on the occasion of the 25th anniversary of his ordination to the ministry. 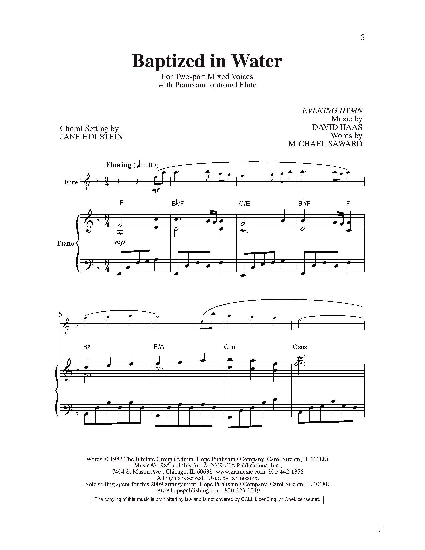 With the addition of solo C instrument, this easily learned anthem is appropriate for any service dealing with water, baptism and the Spirit. The optional flute part is included in the anthem.